This article by the late Tanya Rheinart, Professor at Tel Aviv University was first published by Global Research on 22 December 2001. It outlines in no uncertain terms the project of the government of Israel to destroy the Palestinian Authority and get rid of its leaders including Yasser Arafat, who was assassinated on an order issued by the Israeli Cabinet in 2003. As outlined in Reinhart’s 2001 article, the assassination of Yasser Arafat was long in the making. It was part of a broader military and intelligence agenda to destroy the Palestinian Authority. What recent news reports fail to mention is that the extra-judicial assassination had not only been ordered by the Israeli cabinet in 2003, it was subsequently approved by the US which vetoed a United Nations Security Resolution condemning the 2003 Israeli Cabinet decision to “get rid of Arafat”. This important article by Tanya Reinhart provides the historical background pertaining to the 2004 assassination of Arafat which had been ordered by the Israeli Cabinet. In mainstream political discourse, Israel’s recent atrocities are described as ‘retaliatory acts’ – answering the last wave of terror attacks on Israeli civilians. But in fact, this ‘retaliation’ had been carefully prepared long before. 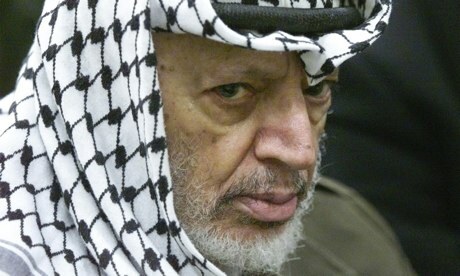 A large section of the document is devoted to establishing Arafat’s “ambivalence and compliance” regarding terror. “In March 1997 there was once again more than a hint of a ‘Green Light’ from Arafat to the Hamas, prior to the bombing in Tel Aviv… This is implicit in the statement made by a Hamas-affiliated member of Arafat’s Cabinet, Imad Faluji, to an American paper (Miami Herald, April 5, 1997).” No further hints are provided regarding how this links Arafat to that bombing, but this is the “green light to terror” theme which the Military Intelligence (Ama”n) has been promoting since 1997, when its anti-Oslo line was consolidated. This theme was since repeated again and again by military circles, and eventually became the mantra of Israeli propaganda – Arafat is still a terrorist and is personally responsible for the acts of all groups, from Hamas and the Islamic Jihad to Hizbollah. The US hawks, who push to expand the war to Iraq and further, view Israel as an asset – There are few regimes in the world like Israel, so eager to risk the life of their citizens for some new regional war. As Prof. Alain Joxe, head of the French CIRPES (peace and strategic studies) has put it in Le Monde, “the American leadership is presently shaped by dangerous right wing Southern extremists, who seek to use Israel as an offensive tool to destabilize the whole Middle East area” (December 17, 2001). The same hawks are also talking about expanding the future war zone to targets on Israel’s agenda, like Hizbollah and Syria. Under these circumstances, Sharon got his green light in Washington. As the Israeli media keeps raving, “Bush is fed up with this character [Arafat]”, “Powell said that Arafat must stop with his lies” (Barnea and Schiffer, ‘Yediot’, December 7, 2001). As Arafat hides in his Bunker, Israeli F-16 bombers plough the sky, and Israel’s brutality is generating, every day, new desperate human bombs, the US, accompanied for a while by the European union, keep urging Arafat to “act”. But the other pole objected even to that much. This was mostly visible in military circles, whose most vocal spokesman in the early years of Oslo was then Chief of Staff, Ehud Barak. Another center of opposition was, of course, Sharon and the extreme right-wing, who were against the Oslo process from the start. This affinity between the military circles and Sharon is hardly surprising. Sharon – the last of the leaders of the ‘1948 generation’, was a legendary figure in the army, and many of the generals were his disciples, like Barak. As Amir Oren wrote, “Barak’s deep and abiding admiration for Ariel Sharon’s military insights is another indication of his views; Barak and Sharon both belong to a line of political generals that started with Moshe Dayan” (Ha’aretz, January 8, 1999). Why is it so urgent for them to topple Arafat? Shabtai Shavit, former head of the Security Service (‘Mossad’), who is not bound by restraints posed on official sources, explains this openly: “In the thirty something years that he [Arafat] leads, he managed to reach real achievements in the political and international sphere… He got the Nobel peace prize, and in a single phone call, he can obtain a meeting with every leader in the world. There is nobody in the Palestinian gallery that can enter his shoes in this context of international status. If they [the Palestinians] will lose this gain, for us, this is a huge achievement. The Palestinian issue will get off the international agenda.” (interview in Yediot’s Weekend Supplement, December 7, 2001).